I’ve always been interested in innovative, imaginative and eco-friendly toys, children clothes and brands that stimulate our children’s individual taste and creative spirit. 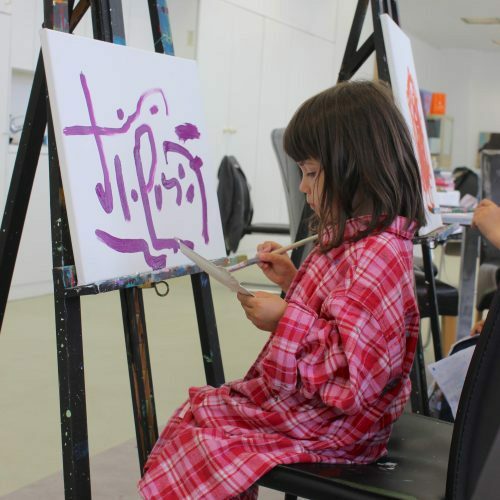 That’s why I decided to write a post about some of the brands and labels I love and use at home for my kids without necessarily focusing on clothes or toys, but rather lifestyle and that can include art and books too. Even though I swore to avoid the competitive parent trap and making grand gestures for my kids such as a surprise trip to Disney Land or a room full of balloons, I couldn’t keep myself from the old habits that die hard, and still invited the neighbours to a little party at our house. We ended up filling the house with more toys, noise, and clutter instead of choosing to create a different ritual, our own. I am sure you already know that having fewer toys benefits kids and gives them the freedom to immerse themselves deeply in imagination rather than superficial play and entertainment. The problem I notice though is that, today, most of us know a lot about many things, but how much of this knowledge do we actually use? Most things remain just a theory or a philosophy we like to discuss with friends and family over dinner, without actually applying it. Now don’t get me wrong: giving and receiving gifts can be a wonderful expression of love, and I also like to consider it a way of cultivating a certain taste and sense of aesthetic in our kids; directing their curiosity towards arts, crafts, different cultures and traditions, but only as long as it doesn’t turn into consumerism that monopolises our relationships. 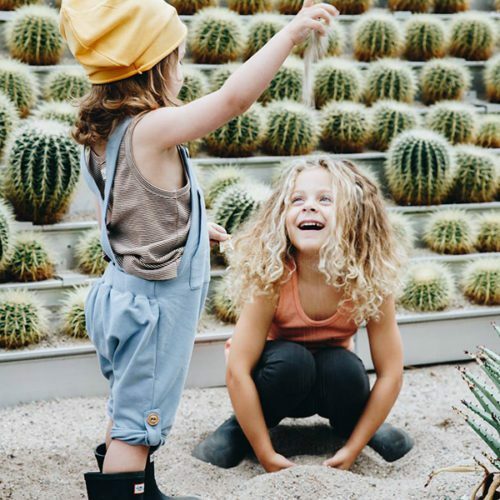 With this in mind, today’s post is about 5 kids’ lifestyle brands we love because of the way they nurture individuality, personal style, and creativity in our kids today. Take a journey to another place, find peace, serenity, and see the world through the eyes of well-traveled photographer Giovanna Aryafara. The moment I saw her posters I knew I had found home… The truth is I have a thing for portrait photography, maybe because I am a journalist and I like to read the stories of people first by reading their faces. In some way I want to pass that fascination to my children and Giovanna’s portraits are my best chance to do it. 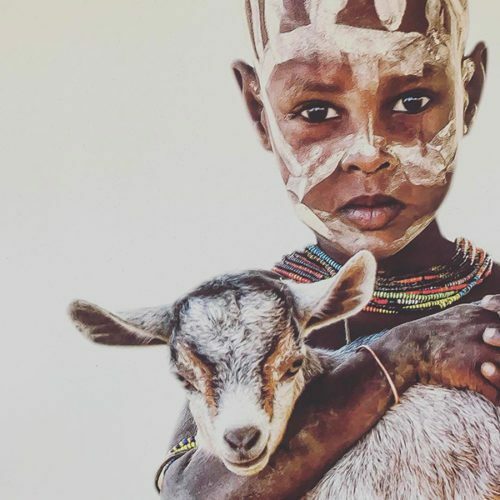 Her portraits from Ethiopia, Bali, Myanmar, and India are so captivating, so candid and expressive that you can’t resist imagining them in your child’s room, just to remind him or her of the amazing world out there that he or she is about to discover. Gentle Spirit Giovanna Photography canvas art is now available from Spirit Publishing! These pieces are designed exclusively by Giovanna for Spirit Publishing and are printed with 100% eco-solvent inks using sound digital printing processes. To preserve further the life of each piece, artworks are printed onto 100% cotton canvas. 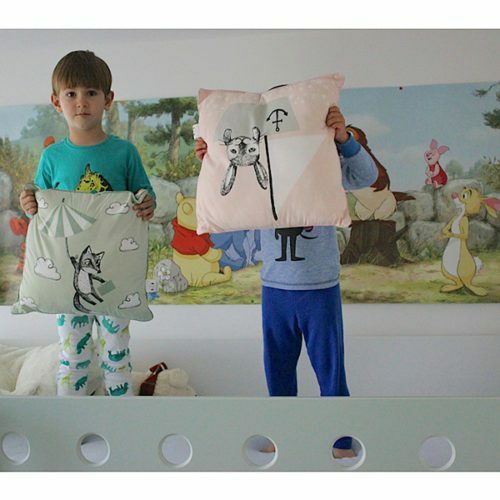 We recently received a little present from Sostrene Grenes, which brought more joy to my kids’ bedtime routine and pillow fights. They both adored the hand-drawn illustrations on their new green- and rose-coloured pillows and later fell in love with the animal-shaped night lights, pretty wall stickers, and delicate bedstead canopy. “With a curious and creative mind, even the smallest things can become something wonderful”, says one of the Grene sisters. Anna and Clara are able to find beauty and happiness in even the smallest of things, and they hope to share their excitement with the rest of the world. They have created a chain of retail stores that house a truly special atmosphere: walking into one of these stores is meant to feel like entering an oasis where, at least for a moment, shoppers can take a break from the hectic pace of everyday life. In this way, the sisters seek to set the stage for wonderful experiences and joyful moments; experiences that encourage people to explore and let their imaginations run free. I won’t deny it: as someone obsessed with shoes, my daughter is following in my footsteps and already has her own impressive shoe collection. Two of the pairs she feels most proud wearing are the original Tiger Swiss shoes. My daughter already knows the value of real, quality, handmade shoes. She can tell you that the Tigers are as Swiss as chocolate, cows, and watches. They are made from high-quality, natural materials and meticulous, painstaking workmanship involving more than 20 stages, guaranteeing excellence. 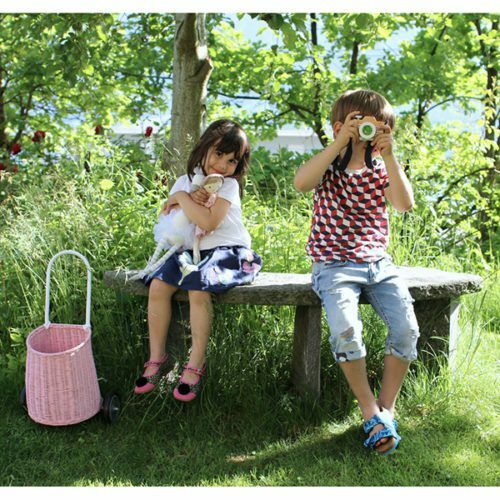 Tiger shoes have been around since 1938, and almost every Swiss child has worn a pair or two while getting up to mischief. Lea & Jojo is a sweet mix of utopia and candour, whose wish is to allow you to consume better. 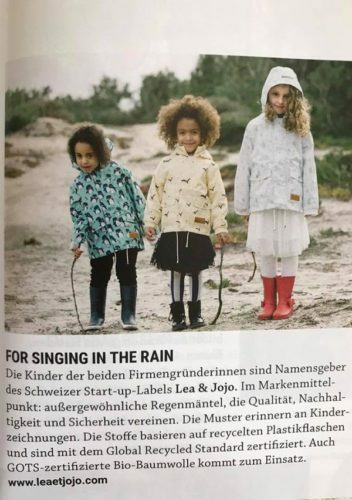 Founded by two mothers and driven by a deep desire to offer an alternative to traditional textiles, which unfortunately deplete nature resources, Lea and Jojo offers a collection of children’s raincoats that combine quality, ecological awareness, social ethics, and safety. We absolutely support their cause and of course love their product! Soft fabrics, sober colors, no-nonsense. Freedom to explore the world; fit to make life an adventure. How can you not love the Little Hedonist? The Little Hedonist is a Dutch label that celebrates simplicity and freedom as central themes. Freedom in movement to enjoy the adventures of life; freedom in exploring the world. Little Hedonist always uses organic materials including the highest-quality organic (wool-) cotton, but also Tencel and bamboo. Soft and sustainable! We love their beanies and easy jerseys, but most of all we fell head over heels for their organic wool-cotton and bamboo lullaby cribs.